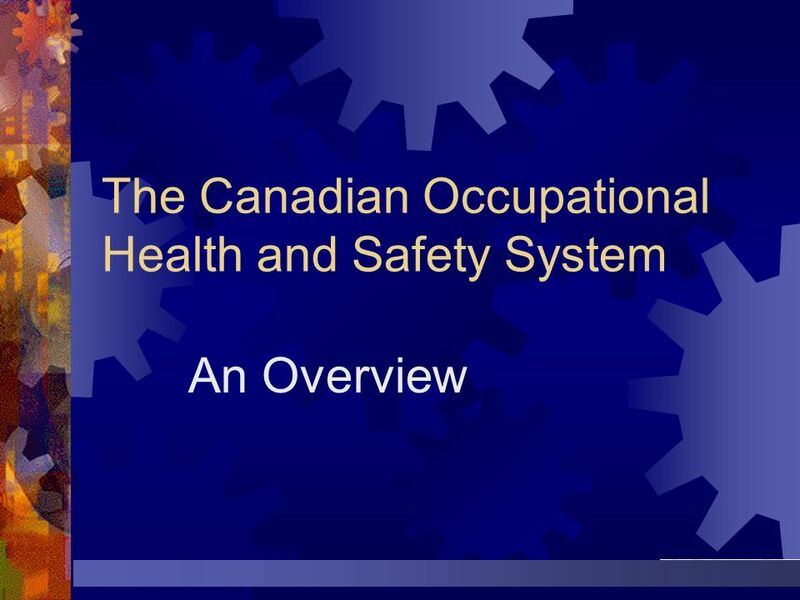 An Overview This presentation is a basic overview of what Canadian Legislation is and how it is organized as law, rules and guidelines. 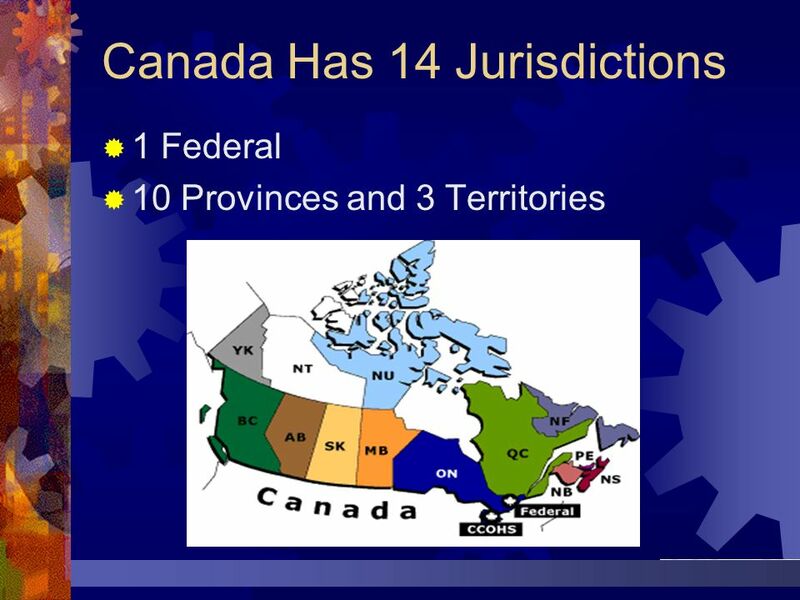 1 Federal 10 Provinces and 3 Territories The most confusing aspect for non-Canadians is the fact that every “jurisdiction” has its own laws. 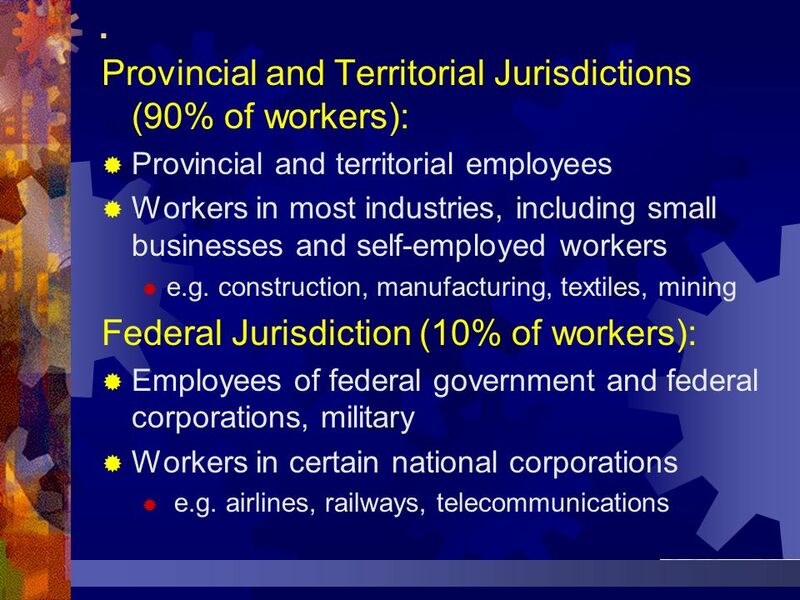 Geographically we can think of every province and territory having its own rules. 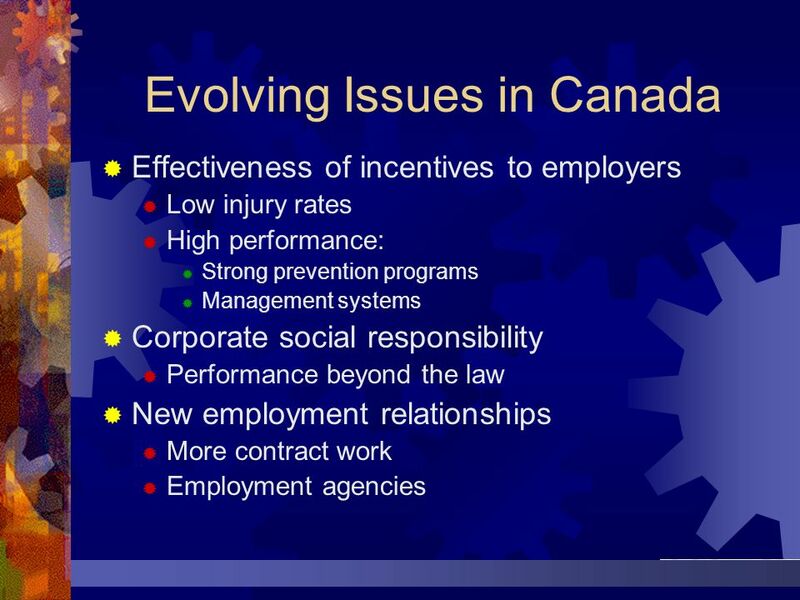 However the Federal jurisdiction actually applies to certain industries wherever they exist in Canada. 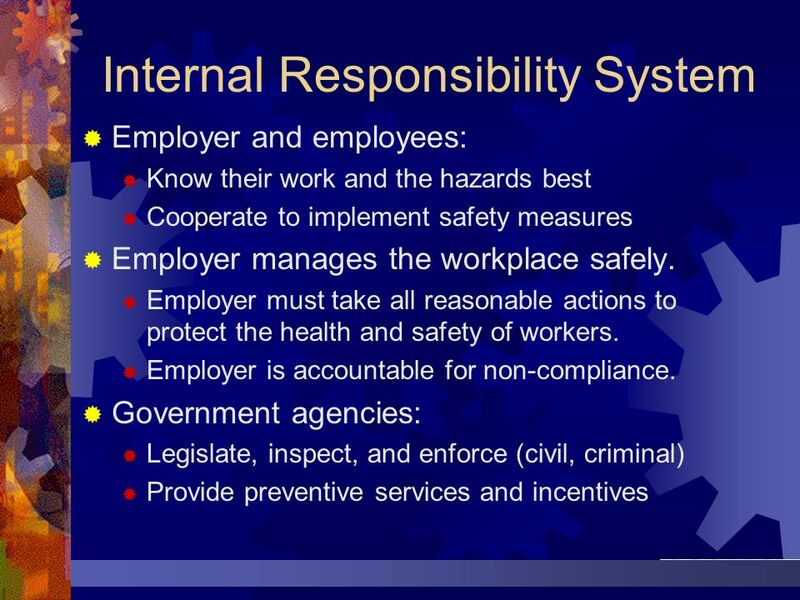 An important thing to know is that no jurisdiction is more important or controls any other. 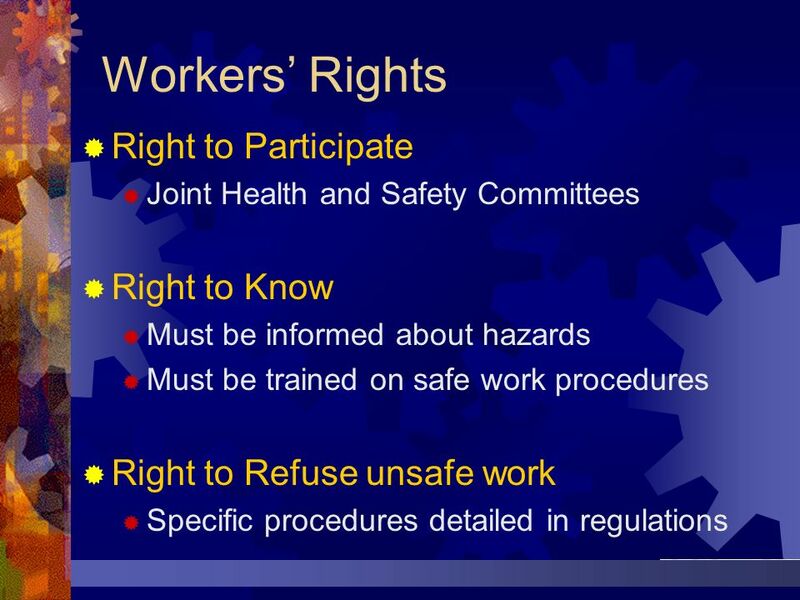 No jurisdiction prepares rules for any other. More about this later. 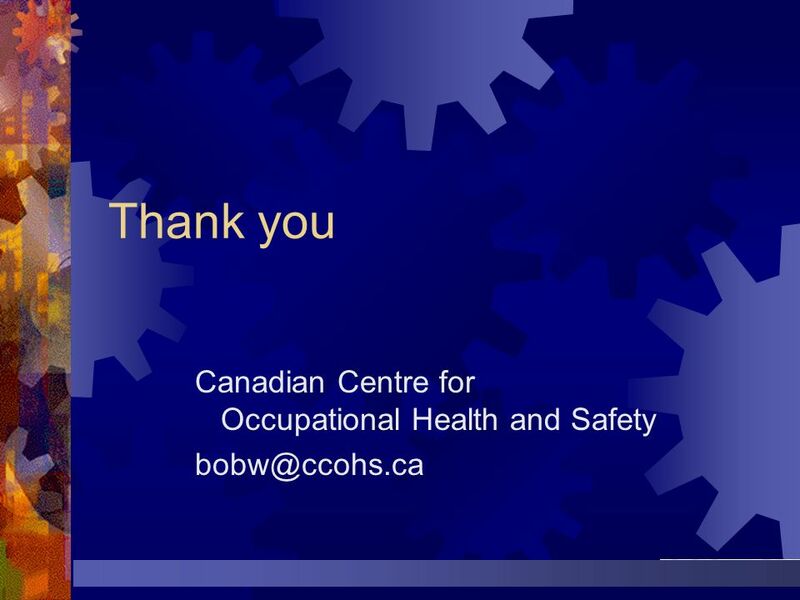 Thank you Canadian Centre for Occupational Health and Safety Thank-you! 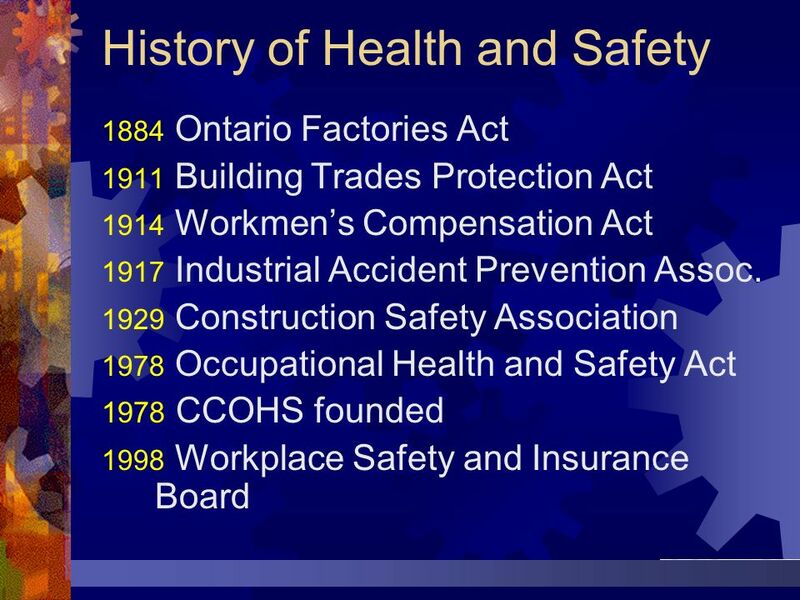 Download ppt "The Canadian Occupational Health and Safety System"
Copyright © 1999 Harcourt Brace & Company Canada, Ltd. Chapter 14 Employee Health and Safety Falkenberg, Stone, and Meltz Human Resource Management in. 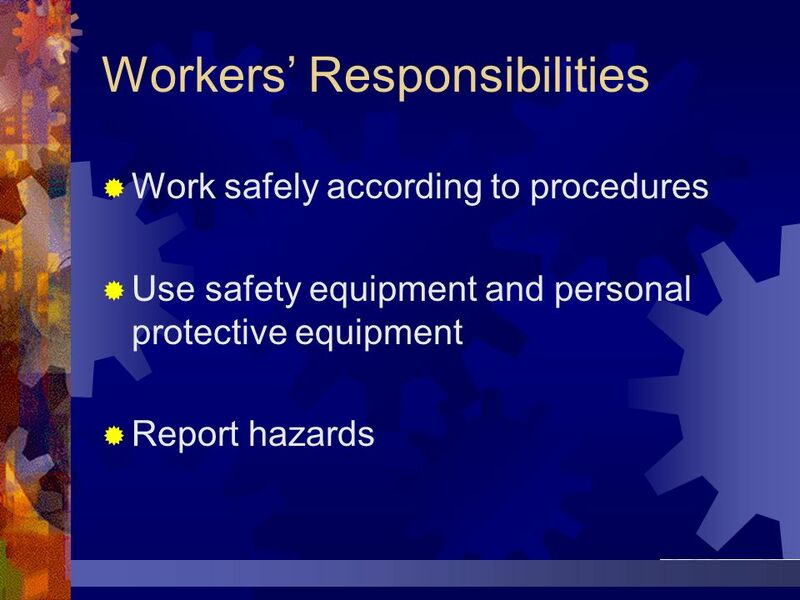 Health and Safety Chapter 10. 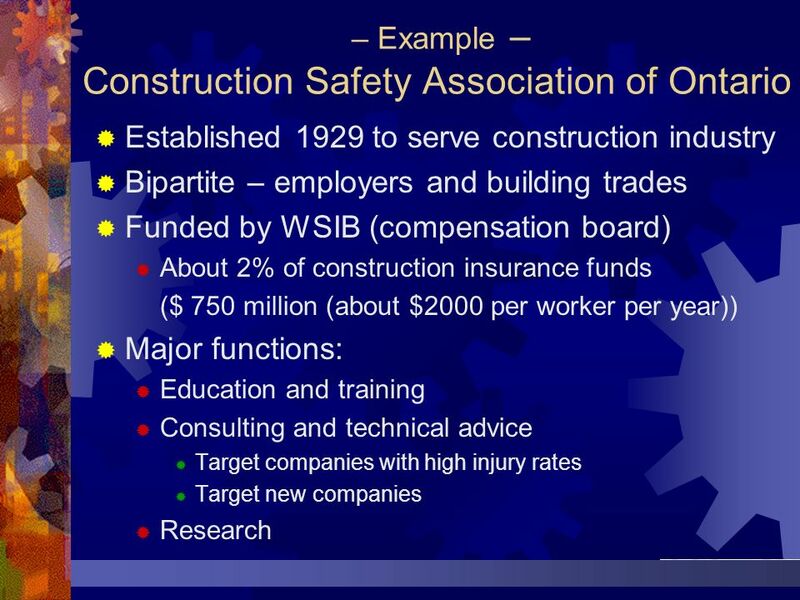 Best Practices in Managing Mining Accidents For NAALC Representatives October 31, 2007 Don Hindy, P. Eng. Director of Mines. 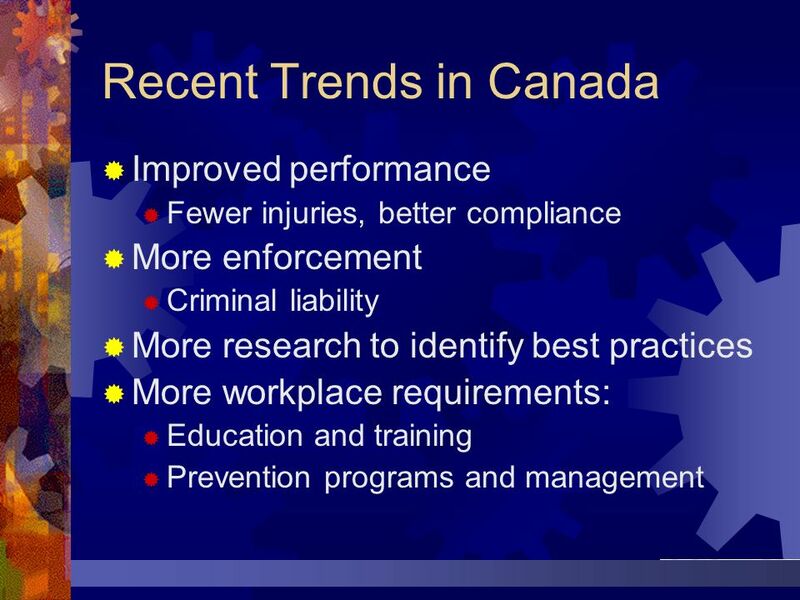 Alberta Occupational Health and Safety Update 2013. 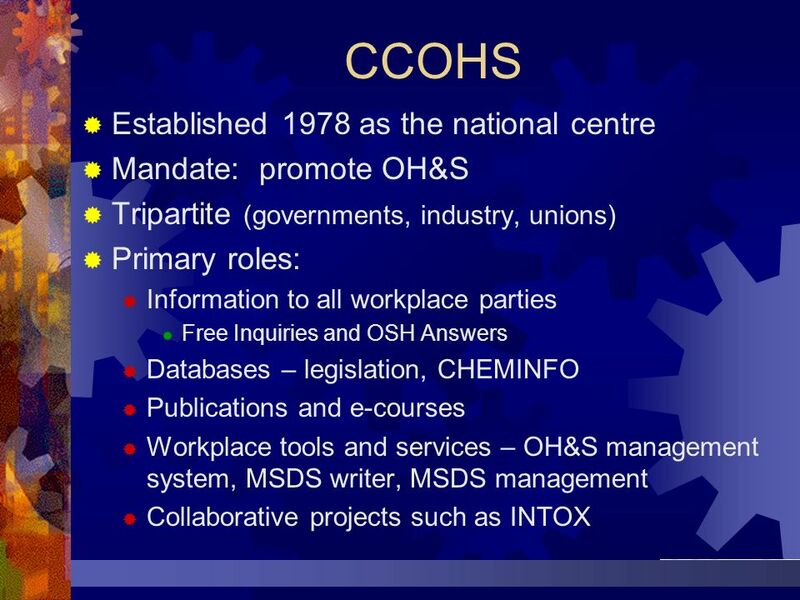 1 OHS Management Systems and Programs in Canada Technical Workshop on Voluntary Programs and OSH Management Systems March 10-12, 2003. 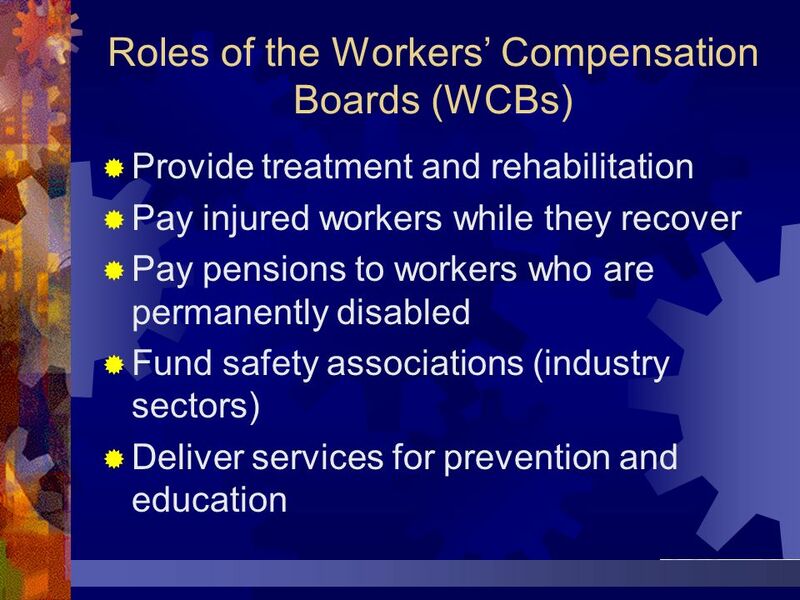 Occupational Health and Safety Part 2 - Committees, Worker’s Rights, Worker’s Compensation. 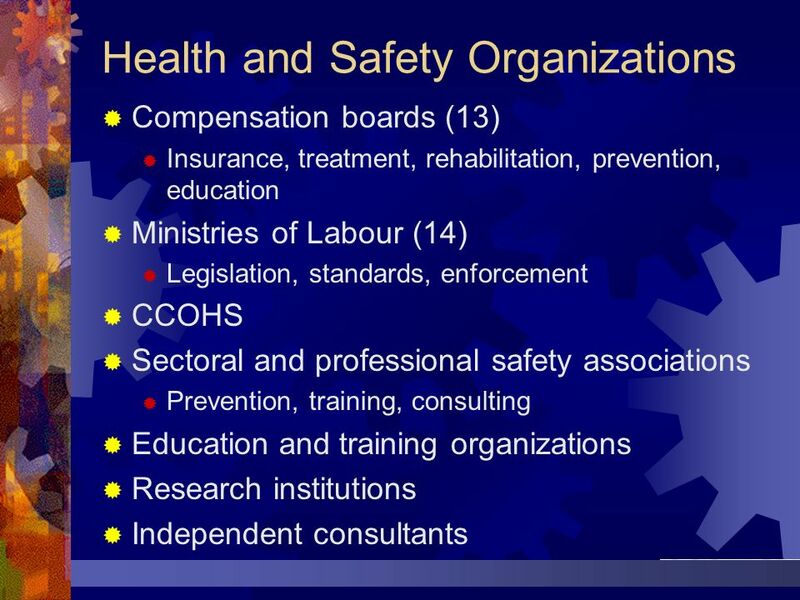 Islamic Republic of Pakistan Government’s efforts to develop and strengthen National Occupational Safety & Health System Presentation by Ministry of Labour. 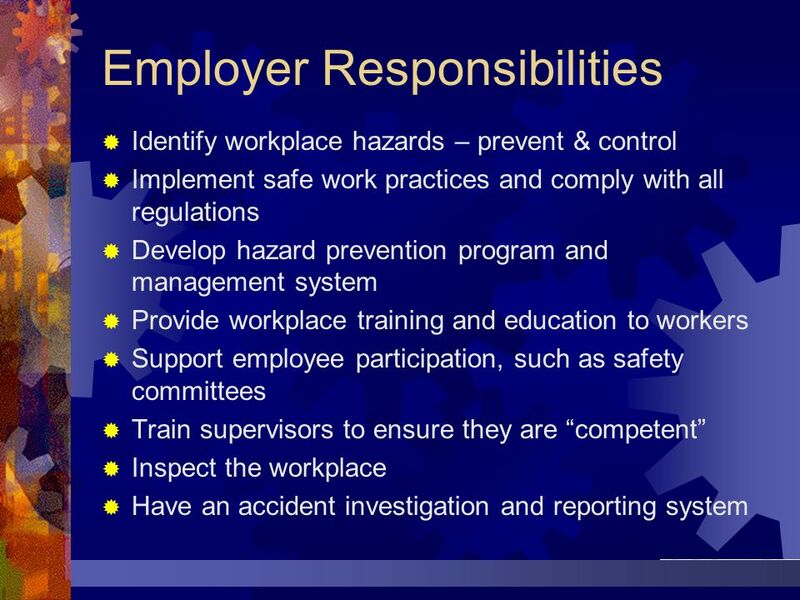 Comparative Study of Safety Management in HongKong and Zhejiang Province Ma Chunjie Lin Detian College of Civil Engineering and Architeture Zhejiang University. 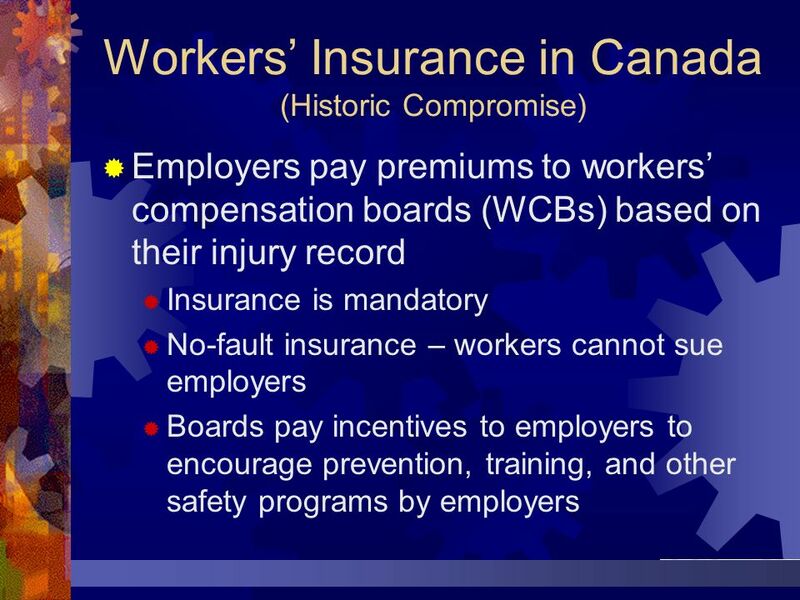 Canadian Experiences in Workers’ Health Promotion Presented by Len Hong Canadian Centre for Occupational Health and Safety March 2000. 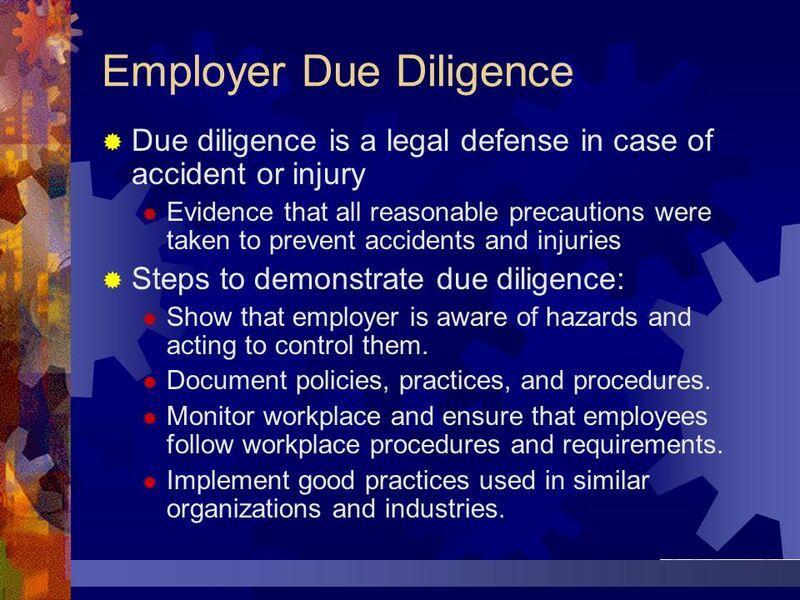 Importance of Documentation Demonstratin g Due Diligence concept application defense.